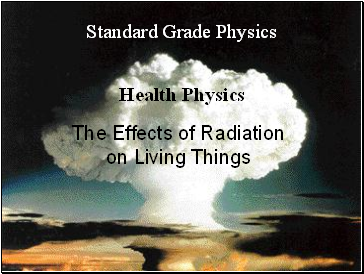 State that radiation can kill living cells or change the nature of living cells. State that radiation energy may be absorbed in the medium through which it passes. State that the dose equivalent is measured in sieverts. 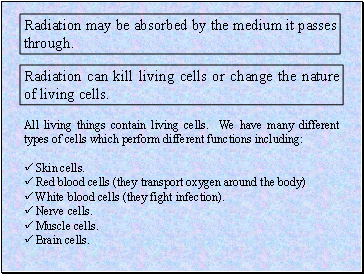 State that for living materials, the biological effect of radiation depends on the absorbing tissue and the nature of the radiation. Understand that the dose equivalent measured in sieverts takes account of the type and energy of radiation. What types of radiation are harmful? 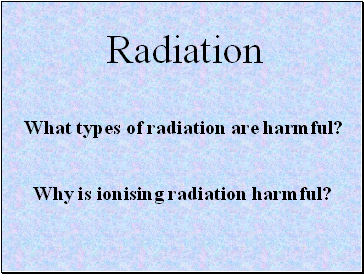 Why is ionising radiation harmful? 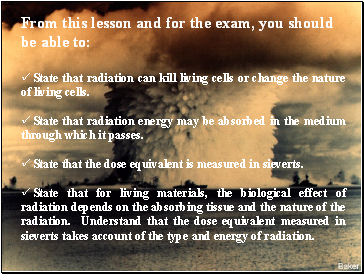 Radiation may be absorbed by the medium it passes through. White blood cells (they fight infection). Radiation can kill living cells or change the nature of living cells. 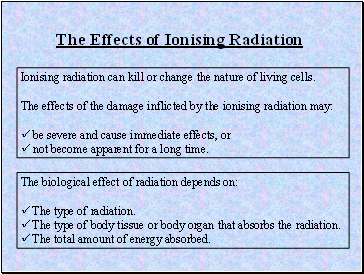 Ionising radiation can kill or change the nature of living cells. not become apparent for a long time. 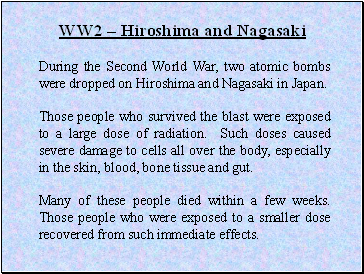 The type of body tissue or body organ that absorbs the radiation. The total amount of energy absorbed. 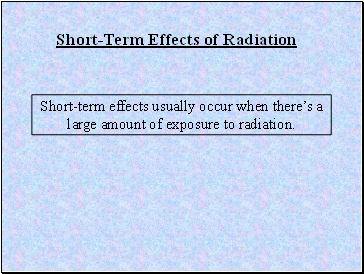 Short-term effects usually occur when there’s a large amount of exposure to radiation. 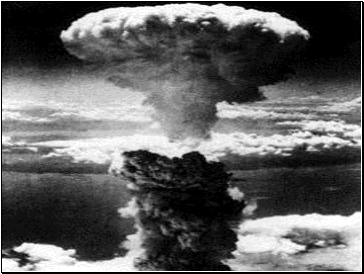 During the Second World War, two atomic bombs were dropped on Hiroshima and Nagasaki in Japan. 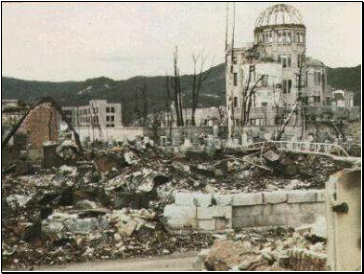 Those people who survived the blast were exposed to a large dose of radiation. Such doses caused severe damage to cells all over the body, especially in the skin, blood, bone tissue and gut.